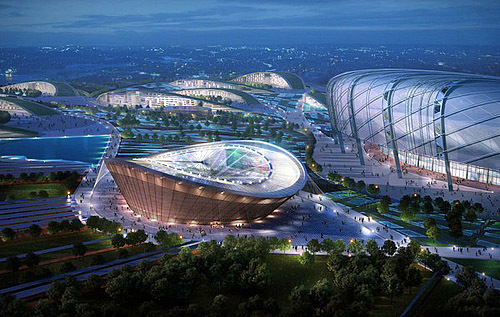 In 2015, the All Africa Games will be held along the outskirts of Brazzaville, Republic of The Congo. This is an auspicious occasion for the All Africa Games because this will be its 50th anniversary. The first games were held in Brazzaville, Republic of The Congo back in 1965. During that first game, sports categories included athletics, basketball, boxing, cycling, football, handball, judo, swimming, volleyball, tennis, weightlifting, and wrestling. Photos from 2007 All-Africa Games in Algeria. The success of the first All Africa Games is often credited to the presence of rising African athletes competing in the games, including Wilson Kiprugut Chuma, Mohammed Gammoudi, Kip Keino, Natali Temu, and Mamo Wolde. The state that won the most Gold medals was the United Arab Republic, with 17 of them. Since the first games were held, more sporting events have been included. The list of newer sports events includes baseball, sailing, fencing, gymnastics, chess, equestrian, triathlon, rowing, karate, and squash. One of the most interesting of these sports events is chess. Chess was first introduced in the All African Games in 2003. Since then, it has attracted notable chess players like Robert Gwaze, Mohammed Ezat and Mona Khaled. During the 2011 All African Games held in Maputo, Mozambique, all three of these individuals won gold medals in the chess event. The teams that received the most gold medals were Egypt’s men’s and women’s teams. 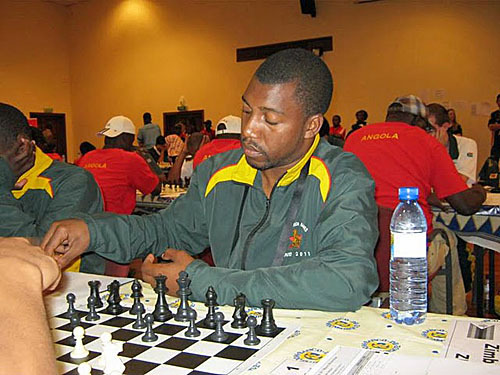 IM Robert Gwaze of Zimbabwe at 2011 All-Africa Games in Mozambique. Chess will apparently be included in the 11th All African Games in Brazzaville, the Republic of the Congo, however the competitors have not been announced yet. 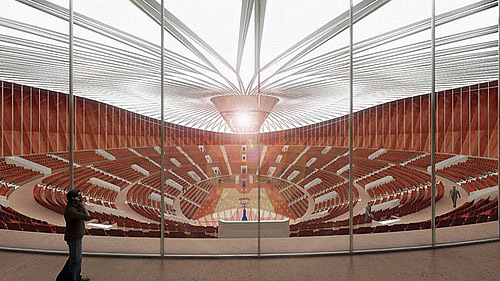 All that is known about the games is that an arena is being built 15km outside of Brazzaville. In this location about several hundred hectares will be converted into a stadium that can seat 60,000 people, a sports complex, an Olympic size pools, training pools, restaurants, health care facilities, training pitches and an Olympic village. Construction for this facility began around July 2012, under the supervision of Jean-Jacques Bouya. However, on February 14, 2014, President of the Republic of Congo Denis Sassou Nguesso and his daughter, Claudia Sassou Nguesso launched the construction of this 379 billion project by putting on an equally lavish ceremony. The purpose of this ceremony was to celebrate the 50th anniversary since the first All Africa Games were held in Brazzaville back in 1965. This celebration included one of Senegal’s former presidents, Mr. Abdoulaye Wade, government officials, as well as well known personalities from the military, civil society and of environmental advocacy. At this point, construction for this massive sports complex is said to be 55% near completion, including the stadium. According to Congolese Sports and Physical Education Minister Leon-Alfred Opimbat, a national preparatory committee has been enacted to help prepare Congolese athletes and officials for 2015 All Africa Games. It was probably nixed at some point. I had not heard anything about it from chess officials which would be strange. Anyway, Africa effectively is left without continental team event. Btw I still have no key to 1997 team championship in Egypt. Maybe you will help me to investigate that event Daaim? Only one of two African team championship ever played with classical time control. I’m going to see who I can talk to, but the integrity of information in Africa is not in good shape. I do know a couple of people who go back that far. Not sure if Rupert Jones (chivesbw@hotmail.com) would know, but it is worth a try. He represented Botswana at three Olympiads.